A complete dental exam is necessary before beginning any form of initial treatment at Montgomery Dentistry. 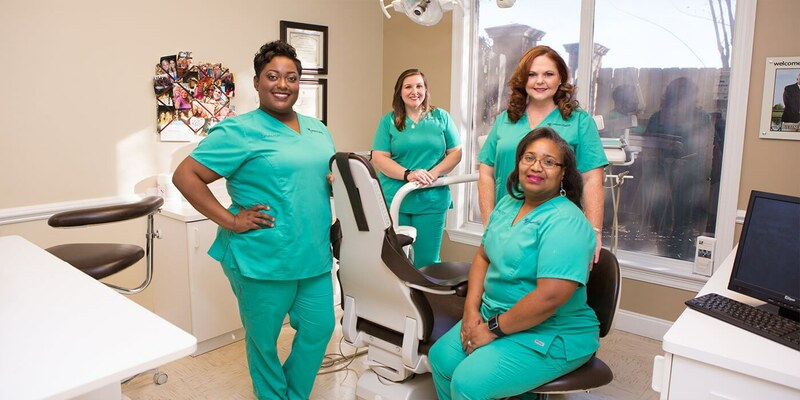 We consider the dental exam a joint effort between us and the patient, as we work hard to thoroughly examine your teeth while also encouraging you to communicate any oral discomfort or pain you have recently experienced. After all, you know your teeth better than anyone and are best qualified to recognize any tooth-related aches and pains. During your regular dental check-ups, your hygienist and dentist will guide you through a diagnostic x-ray exam. This exam will reveal your tooth and root positions, and screen for any signs of bone loss, decay, cysts, or tumors. You will also be screened for any signs of oral cancer by examining your face, lips, neck, throat, and gums. The Oral Cancer Foundation estimates 100 new individuals are diagnosed with mouth cancer each day in the U.S., which is why Montgomery Dentistry trains its staff to recognize the common visible symptoms of oral cancer. Gum disease and tooth decay screening is also included with your routine check-up. The gums and surrounding bone are examined for periodontal disease, as well as the surface of your teeth. This also includes the evaluation of any crowns, fillings, or other restorative dental work you have received.